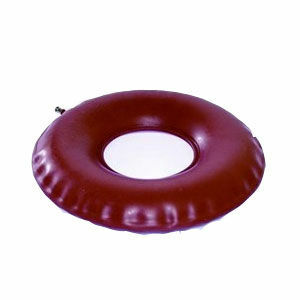 Inflatable rubber cushion. Air pressure can be adjustable to suit individual needs. Ideal for the short term user requiring comfort and support. Relieves pressure from the coccyx.